Contributing to pet publications can be a great way to combine a love of animals and a talent for writing. The first thing a freelance writer must do is determine what topic they want to write about. Popular subjects for pet publications include veterinary or health issues, general care, breed profiles, exercise and activity ideas, behavior, training, nutrition, and traveling with pets. Pet writers must have strong research skills to ensure that the material provided to their readers is accurate and current. That information must be presented in a logical, clear, and concise manner. Pet writers must be able to work on a deadline. They must also have great attention to detail and strong proofreading skills to eliminate spelling and grammatical errors. Content and word count guidelines must be followed, and these vary from one publication to the next. Many publications do not accept unsolicited manuscripts. Generally, it is best to carefully review the writer’s guidelines on a publication’s website before submitting your work. Often you must first send a query or proposal, and then perhaps even a resume and writing samples from previously published work (often referred to in the industry as “clips”). Pet writers can work for a wide variety of print and online publications such as magazines, newspapers, newsletters, and professional journals. They also may work in marketing or advertising for companies in the pet product industry, usually writing ad copy or creating website content. Breed organizations, trade associations, zoos, aquariums, and other animal industry groups may employ writers in full or part time positions. Many pet writers work as freelancers, setting their hours and choosing their assignments. Established writers may be offered staff writing positions at publications, or they may go on to find work as editors and creative directors. Prominent pet publications include Dog Fancy, Cat Fancy, Horse Illustrated, Bird Talk, Dog World, Horse & Rider, AKC Family Dog, The Horse, breed association newsletters, and many more. No formal training is required to be a pet writer, but many have in the industry have animal related degrees, writing or journalism degrees, or significant experience owning and working with animals. A solid grasp of spelling and grammar is essential. Writers should always take care only to submit their most carefully edited and polished work. Professional animal writing groups, such as the Dog Writers Association of America (DWAA) and the Cat Writers Association Inc (CWA), can provide valuable advice, workshops, and networking opportunities for members. Participation in relevant groups can enhance a writer’s resume, especially if the writer is new to the profession. Compensation for a writer can vary based on length of the article, type of publication, and the number of articles published by the writer each year. Pet writers working as freelancers are generally paid for each finished piece. The Bureau of Labor Statistics indicates that salary for authors and writers varied from less than $28,610 (for the lowest 10 percent) to more than $109,440 (for the top ten percent) in May of 2010. The median was $55,420. The middle 50 percent earned between $38,150 and $75,060. While part-time writers might not produce the volume of work necessary to pull in the higher end salaries, many part-timers use writing as a supplementary source of income and hold another full-time position. 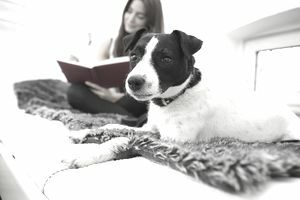 With interest in pets steadily increasing, opportunities for pet writers should continue to grow as even more publications emerge to satisfy the demand. Opportunities with online publications should show significant growth. According to the Bureau of Labor Statistics, writers and authors held 40,980 jobs in 2010. Nearly 70 percent of those writers were classified as self-employed. While the BLS expects employment for all writers to grow at an average rate (approximately 8 percent) from 2008 to 2018, the rate of growth may be significantly higher in this niche market.